IS ALL LOST?! 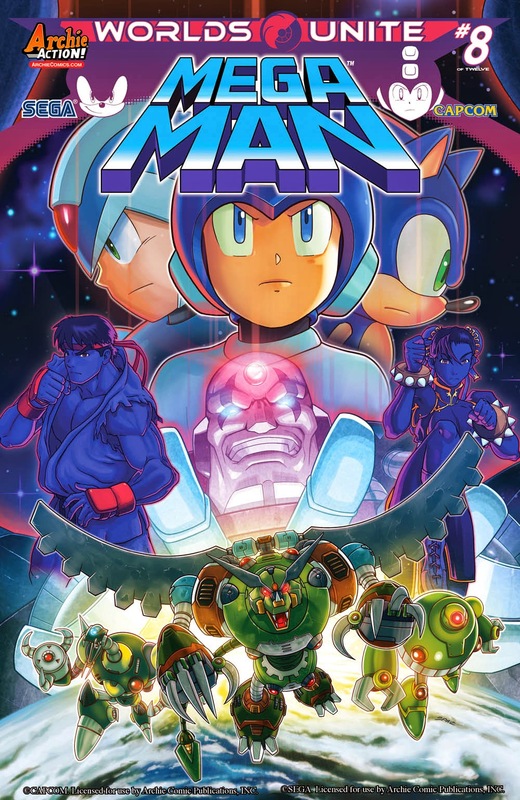 The evil Sigma unleashes an unstoppable army in "Worlds Unite" Part Eight: Sonic, Mega Man and X lead the unified army against Sigma’s horde of resurrected Mavericks! Sigma has now taken command of the Genesis Portals, threatening to fuse together even MORE worlds! With our heroes’ time and strength running out, Sticks returns with reinforcements—and you’ll never believe who she recruited! Featuring cover art from the legendary Patrick "SPAZ" Spaziante, and variant cover art from Sonic rising star Diana Skelly and part 8 of the epic 12-part connecting variant cover series by artist Ben Bates! Happy birthday to me. These covers look phenomenal especially the one with Ryu and Chunners. I am looking forward to this issue. "Bald is Beautiful" is the best damn cover ever and nobody can convince me otherwise. Gotta get those Street Fighters in there whenever possible. If only all Capcom franchises could receive promotion on the same level. The bald cover is brilliant. Not gonna lie, I'm pretty pumped about seeing Ryu, X, Sonic, etc! This is gonna be one cluster of a story! I have to admit I'm a bit worried about there being too much content at once, but Archie has usually impressed me with their storytelling! So glad to see the Maverick Hunters and Sigma getting some love! You could tell the artist that drew X on the left pic (spaz I think) is not familiar with drawing the character, he draws his mouth as if Sonic's or something. Whoa, there! Part Eight?! Whatever happened to Parts 1-7? That's why I stopped read it because Patrick "SPAZ" Spaziante stopped drawing the pages and only do the cover. 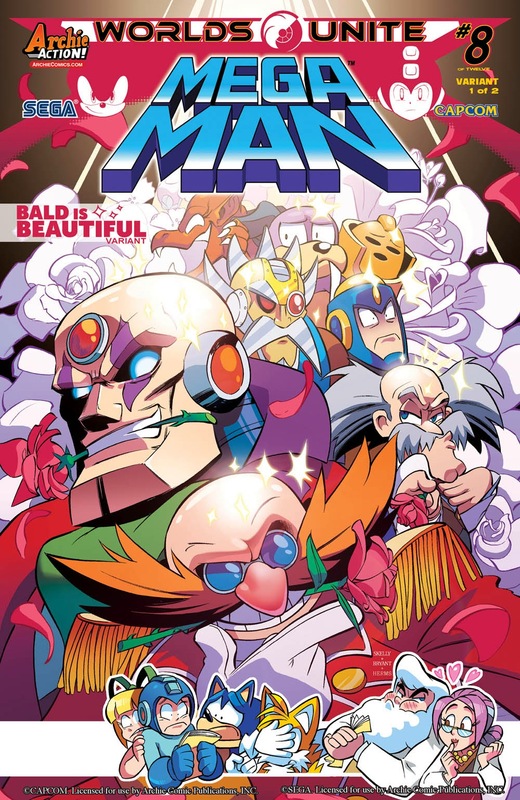 He is better than other artists for Megaman. Sorry about my English. I agree he is very very VERY talented, but by refusing to read or buy those books, in a way, you're disrespecting him. I don't think a cover alone makes the book. The stories are actually really, really good! I know sometimes there's a bit of art here and there, maybe more often, depending on your tastes, that seems off, or not as good as we would like it to be. But the thing is, at least in my opinion, they're still making an effort to put out a comic series we didn't have before! If you can, and I'm not being sarcastic, I promise, offer better quality art, or create something you believe is even more entertaining, then by all means put in an application to Archie, or make something yourself like some of the fan games lately and show them THIS is how much we love our heroes! Since this is also crossing over with Street Fighter, I'm guessing M. Bison will be included in some way, shape, or form. If he is, then here's hoping they'll find a way to incorporate the "It was Tuesday." line.